Would you believe these chunky baked chicken are fat-free? It's true! 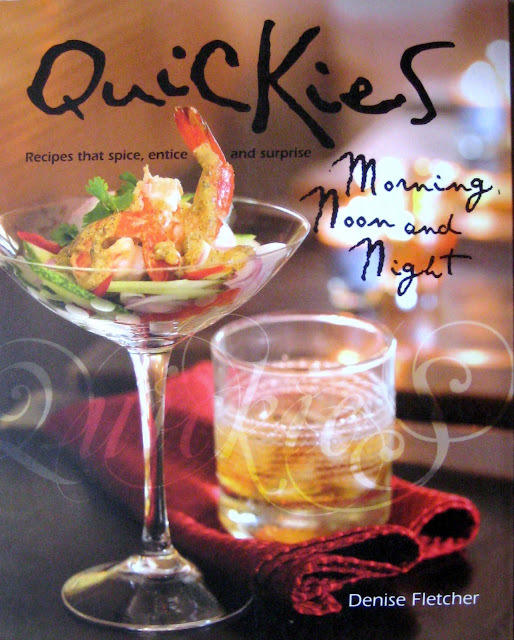 I used the recipe from this cookbook - Quickies and the results are well-worth the little efforts put in. Pre-heat oven to 230 degrees Celsius. Then marinade about 1 kg chicken pieces (cut into medium-sized chunks) with 1/2 can (150 ml) beer, 2 tsp sugar, 1 tsp salt and 1 tsp white pepper powder. Since I didn't have any garlic powder at hand, I just smashed 6 cloves of fresh garlic and added that into the marinade. If you're using garlic powder, 2 tsp would be enough. I let the chicken sit in the fridge for about 30 minutes before dredging them in some plain wheat flour. Use just enough to coat the chicken pieces evenly. Shake off any excess flour before placing the chicken pieces onto a wire rack atop a roasting tray. Bake the chicken for 15 minutes. Lower heat to 180 degrees Celsius and turn chicken pieces over to cook for another 15 minutes. Keep a close watch on the chicken pieces to avoid them from being overly burned. Test the thickest pieces to ensure the meat is cooked through - juices should run clear. If they're underdone, cook for another 5 minutes. Serve piping hot to enjoy the super-duper juicy tenderness with an oh-so-heavenly garlicky and beery accents! Soooo good!